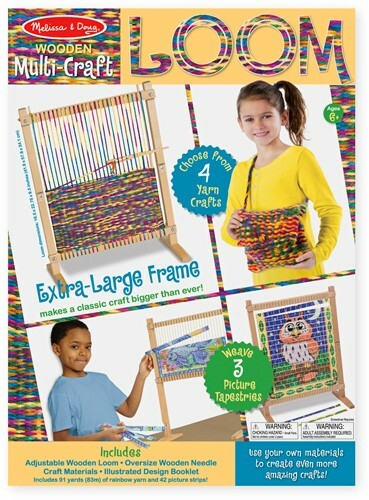 Youngsters will be thrilled to get creating with this Multi-Craft Weaving Loom. 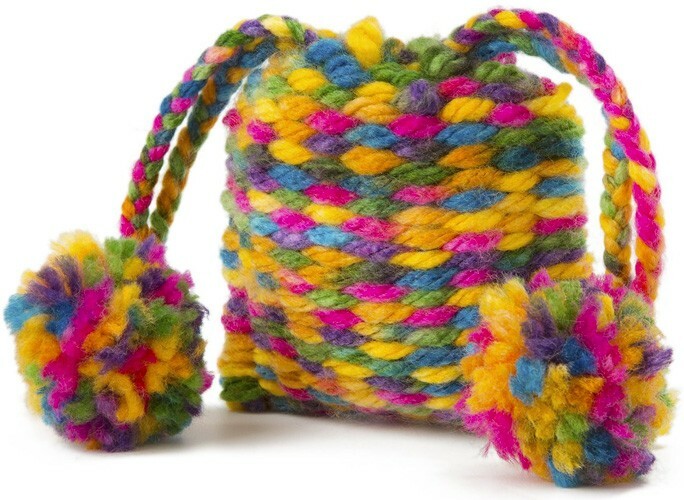 With its easy-to-use adjustable frame, oversize wooden needle, and generous 91 yards of rainbow yarn, kids can choose to make a scarf, a tasseled coaster, a drawstring pouch, a crafty carry-all, or whatever they design themselves! 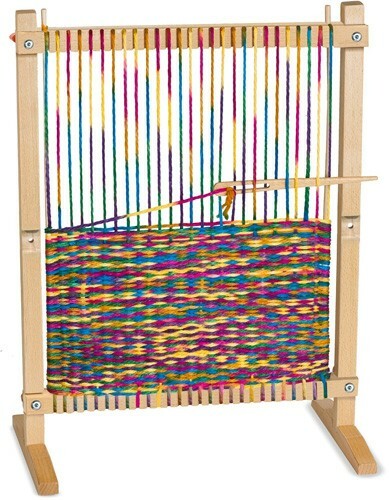 Great for all skill levels, this loom also comes with three picture tapestries to weave. 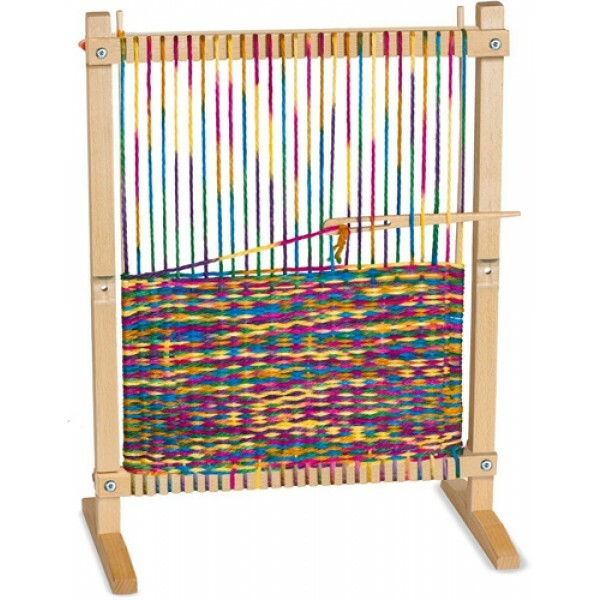 The package includes an adjustable wooden loom, an oversize wooden needle, craft materials, an illustrated design booklet, 91 yards (83 m) of rainbow yarn and 42 picture strips.